Not all Robo Advisors are created equal. The services they provide differ significantly, but not necessarily in terms of quality; they differ according to the needs of investors like you. Some Robo Advisors are perfect for small investors, and some are best suited for high-net-worth investors with more than $100,000 to invest. Each individual investor will have different needs and investment budgets, and different Robo Advisors deal with those needs in different ways. 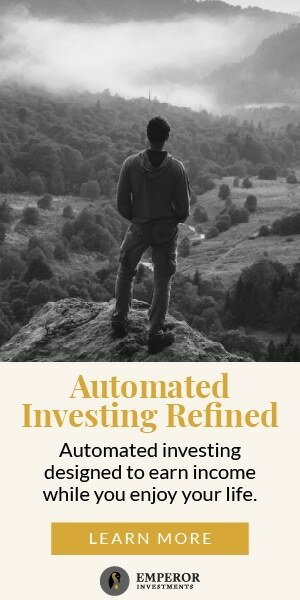 Here at BestRoboAdvisors.org, we do our best to scrutinize the best Robo Advisors in the investing world, making it easy for you to choose the best service for you. The vast majority of Robo Advisors charge management fees based on a percentage of the total amount invested. Simply put, the higher the investment amount, the higher the fees. If you’re investing over $100,000, you should choose a Robo Advisor with lower management fees. But it’s not as simple as it seems. If you have a larger amount to invest, many Robo Advisors tailor the fee structure in a sliding-scale manner; the fee decreases when the account balance reaches a certain amount. The amount and the structure of the management fees are crucial points to consider, most especially if you’re planning to invest more than $100,000. It’s logical to choose a Robo Advisor with low fees, but you should also take into account what the service provides you. 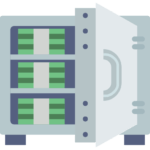 If the service improves or offers more features for accounts with larger balances, it may be worth the extra cost in fees. Many Robo Advisors with low fees won’t provide the same features as those that charge a bit more. For instance, tax loss harvesting is either offered as a paid extra, or may only come into action for accounts with larger balances (often $50,000 and above). Wealthsimple is an easy-to-use Robo Advisor designed for hands-off investors. Investing $100,000 or more activates Wealthsimple Black, reducing your management fee from 0.50% to 0.40% and gets you tax loss harvesting and free consultations with a human advisor. If you sign up using our link, your first $10,000 are managed for free for the first year so you can give Wealthsimple a try without paying any fees! Wealthsimple charges zero fees on transfers and trading activities. All accounts get free automated deposits, automatic rebalancing, and dividend reinvestment. Wealthsimple also shines in regards to halal or values-based investing. This is one of the few Robo Advisors that offer halal choices for your portfolio. 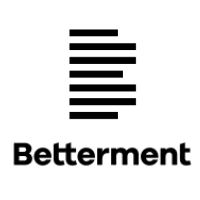 If you’re a hands-on investor and you want to invest at least $100,000 into a Robo Advisor, you should take a closer look at Betterment. Betterment Premium requires an initial deposit of $100,000 and charges a 0.40% management fee. The fees are a bit higher, but there are zero trading and transfer fees and comes with unlimited rebalancing, personalized financial advice, and unlimited access to Betterment’s CFP professionals if you need financial advice. Betterment also offers tax loss harvesting on balances over $50,000, which improves the cost-efficiency of the service for taxable accounts. Zacks Advantage was a new entrant in 2017, but was able to garner the attention of both small and large investors alike. Zacks Advantage is designed for clients with more than $250,000 to invest; it only charges 0.35% management fees with our link. Accounts worth $100,000 to $249,999 pay 0.50%. The service offers a diversified array of investment portfolios and asset classes including floating rate notes and international bonds. All investment accounts get active management, continuous rebalancing and automatic tax loss harvesting (all free for accounts worth over $50,000). This Robo Advisor has a minimum balance of $25,000. Wealthfront’s management fee structure is very straightforward. All accounts are charged a 0.25% fee regardless of the account balance. If you’re investing over $100,000, this is one of the lowest account management fees on the market. Wealthfront includes daily Tax Loss Harvesting for all accounts, but for accounts worth over $100,000, they activate Risk Parity which balances risk more intelligently. If you’re a high net worth investor with more than $100,000 in investible assets and want to entrust them to the best possible Robo Advisor, you can’t go wrong with Betterment, Wealthsimple, Wealthfront, or Zacks Advantage.